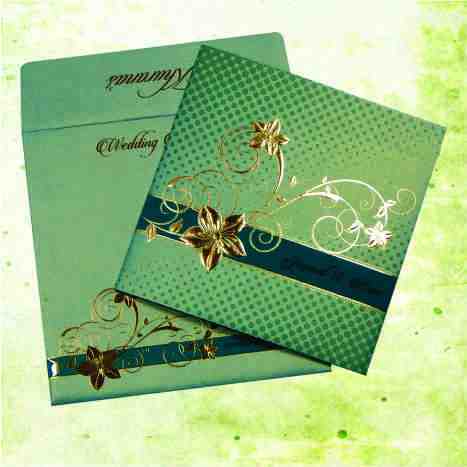 MAIN CARD : Teal Blue Color 250 gsm Shimmery Finish Paper with Silver Color Printing. This is a Tri-Fold Invitation printed with emboss effect. Hey Rahul, I just wanted to let you know that the cards came in 2 days ago on Monday. They are really beautiful! I've gotten several compliments on them already. Thank you very much for your help in designing them, sending them so quickly, and communicating with me so well. I really appreciate it, and it was nice doing business with you! I love blue color and this made me love this card as well.